I had a lot of adventures while I was home for the holidays. This is my FAVORITE of our family photos, I call this, "Andy discovers cat hair ALL over his suit after touching the curtains." The looks of genuine shock on all of our faces are priceless. Zoom in. Totally worth it. Skyline Chili makes my heart pitter patter! Mom needs a bib when she eats at Skyline. Yep, the manager came up and offered her one, not the 7-year old. And then he tied it on for her. Precious. 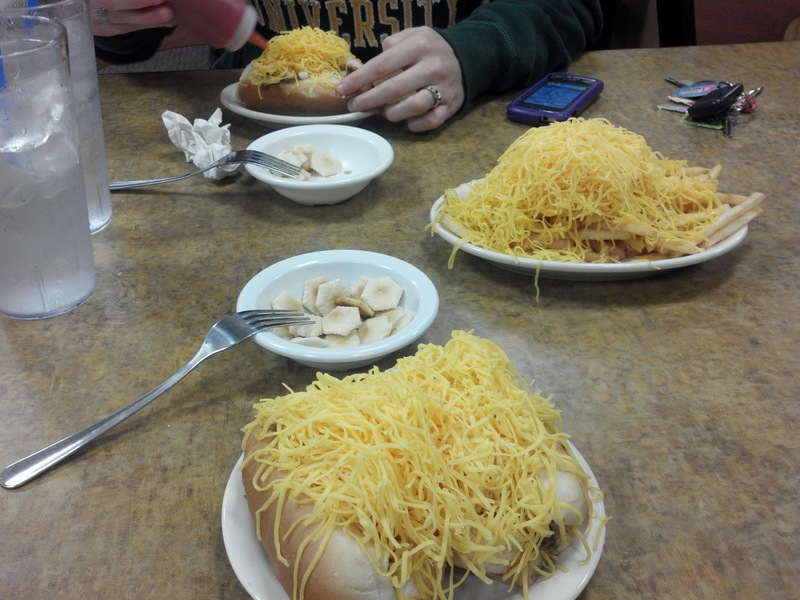 Together, at last, it's Skyline Time! Yep, that's my dad. 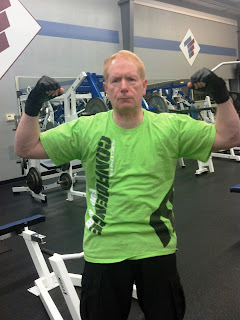 In his workout clothes. Before Sunrise. I have a love/hate relationship with getting up before dawn to go workout with him, but seeing an outfit like this makes it all worth it, right? 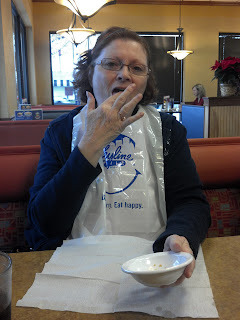 We met in Tiffin (half way between Lorain and Piqua) to have lunch with my Grandma Betty and Uncle John. Everyone loves some Grandma Betty. Did you know I'm her namesake? My nephew Max! I don't deserve all the unconditional love this little boy gives me! Even the oyster crackers at Skyline are to die for. So jealous!! Your dad is a stud. I'm a little jealous. That's chili? Must be covered in a mountain of cheese, because I initially thought it was plates of spaghetti! Oh Aaron, Aaron. Sweet, unskylined Aaron. What I am eating is a lil chili dog covered in a mountain of fresh cheese. They do also serve chili over spaghetti (2-way) and regular old chili. All smothered in fresh cheese. Heaven, I'm in heaven, and my heart beats so my lips can hardly speeeeeak!